The uniqueness of this quaint and historic city will inspire you. With its magnificent architecture, National Park, museums, art galleries, fascinating attractions, casinos, and nightlife, Vicksburg offers something for everyone. Vicksburg is now one of only two cities in Mississippi to have earned the Department of Archives and History‘s “Preserve America” designation. Anchuca’s “old town” neighborhood is home to National Landmarks, more than 20 properties listed on the National Register of Historic Places, and many more that have C 100 (Centurion) status. 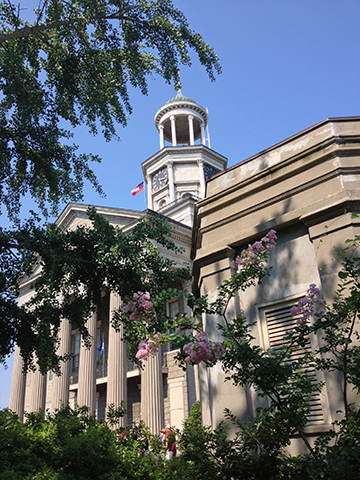 These sites can be enjoyed best by taking a walking tour along the brick streets surrounding our iconic landmark, The Old Court House Museum, located just two blocks away. Guests also enjoy time for a little antiquing or shopping in our quaint downtown just a few blocks away. Enjoy browsing through unique art galleries and museums. Guided walking tours of our historic neighborhood are informative about the local history and the families that live in many of the beautiful homes that you’ll see. Featured below, are just a few of the historic landmarks you’ll see within a few block radius and walking distance of Anchuca. Come see for yourself! The city’s oldest public building, underwent construction from 1839 to 1843 and has since continuously served the community. Shell damage caused the Church to install new Tiffany stained glass windows after the War Between the States. The window nearest the street facing the rectory was dedicated to the memory of Annie Lake Green, granddaughter of Judge and Mrs. William Lake of Lakemont. 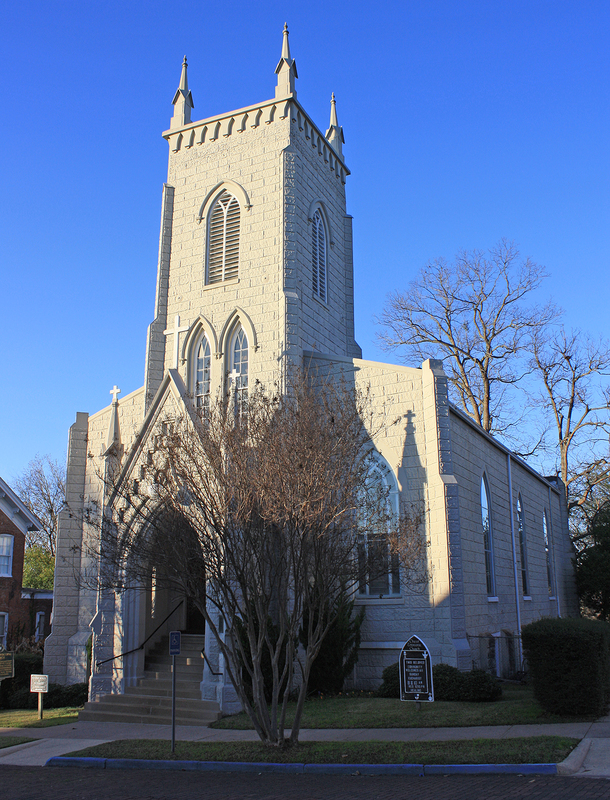 The Church was badly damaged by a tornado in 1953. Workmen involved in repairing the north walk of the tower found evidence of cannonball damage in the upstairs floor joists. A frontier home built in 1822, before Vicksburg was incorporated. 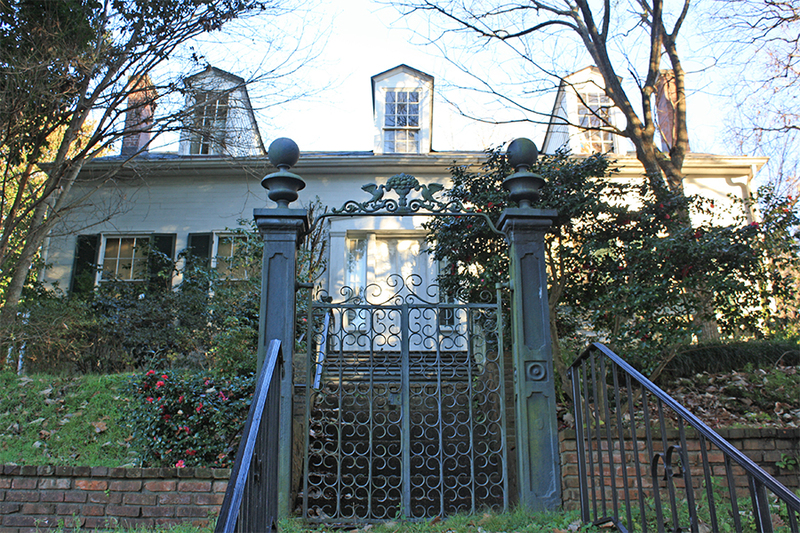 Located in the oldest neighborhood in Vicksburg, the home was unrecognizable, obscured by additions and neglect, and its history untold for nearly a century until it was fully restored in 2004. 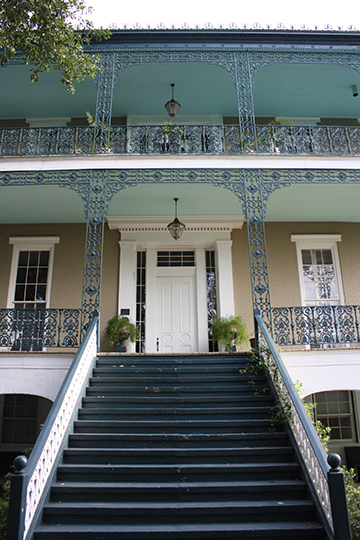 It features a two story veranda, gardens, two parlors and the original slave quarters. George Washington Ball was a distant cousin of our first president. National Register of Historic Places. Built by W.S. Bodley and received extensive damage during the siege. Bodley’s brother, Doctor Hugh Bodley, was killed in 1835, when he participated in a raid conducted by citizens to purge illegal gambling from the city. 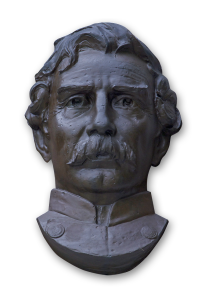 A monument to his memory now stands at the intersection of Farmer, First East, and Openwood Streets. Built in Greek Revival style and was constructed about 1856. It served as hospital for both Confederate and Union troops. The land on which the mansion stands was a gift from Judge and Mrs. William Lake to their daughter, Mary, and their son-in-law Duff Green. 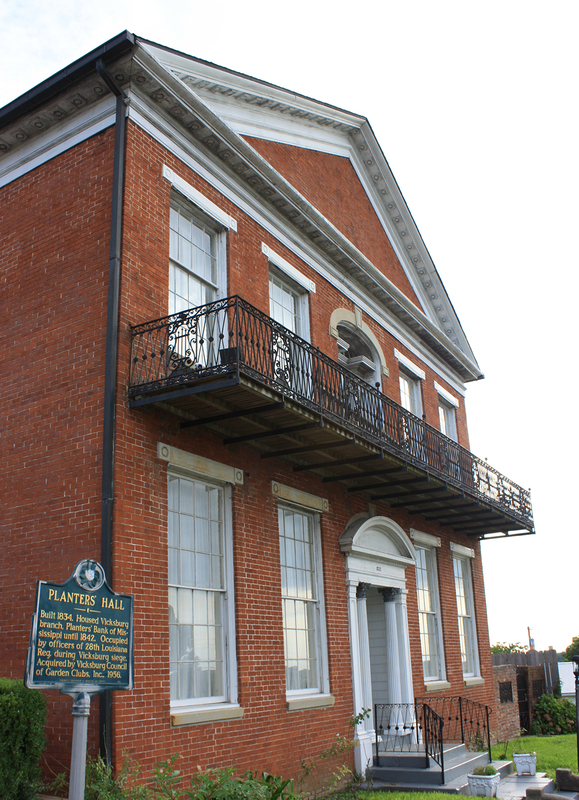 Originally served as the Planters Bank from 1834 until its failure in 1842. The upper floor served as living quarters for the bank president, and the building still contains the original vault and wine cellar. Constructed in 1870. It originally housed horse drawn wagons laden with hoses. The hoses could be placed in public or private cisterns from which water was pumped to the fire. 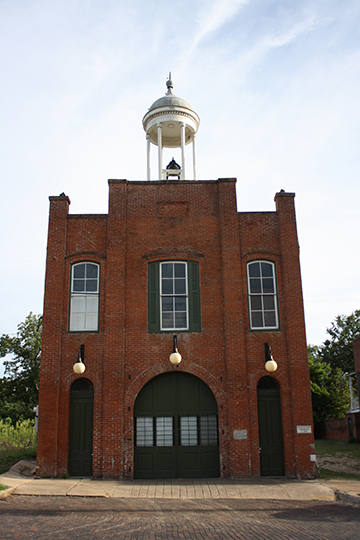 The cupola, atop the firehouse, is from an earlier structure built in 1837. 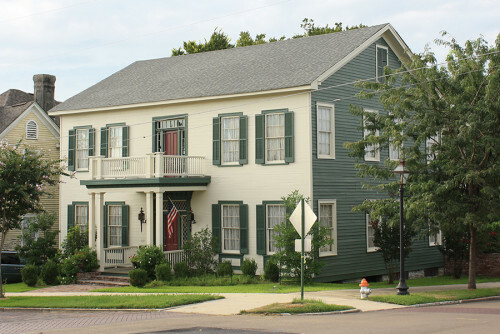 The Vicksburg Art Association now occupies the building. Built in 1858, the brick structure which years later was covered with stucco, textured to the appearance of stone. During the War, Union prisoners were housed within the second floor courtroom to discourage Union gunners who shelled the city from the river. It was from the courthouse steps that General Ulysses S. Grant watched his victorious troops pass in review. Crowning the courthouse is a cupola from which Grant’s troops raised the stars and stripes after entering the city.